Research, user testing and prototyping services for a group of well known and globally loved automotive brands. 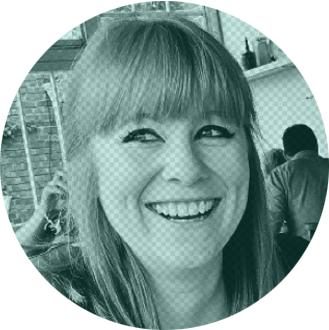 What began with a single project to run some user research for BMW on their UK retailer sites, fast became something much larger with UX services on multiple projects across the BMW group for both trade and consumer sites. 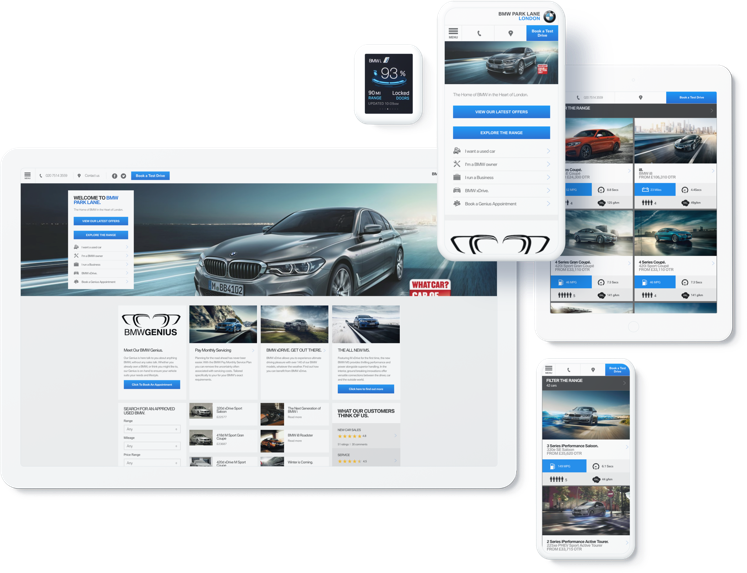 Initially, we were brought in to run some user testing, research and design as part of a wider technology project with local Bristol agency EMO (now Prophecy) to migrate the BMW UK dealer sites to their new purpose built CMS, Cascade. The client wanted a ‘mobile first’ design that focused on customer experience and drove leads and conversions. But things were complicated. There were 150 dealerships to consider. Spread across the UK, they’re a combination of independents, medium and large dealer groups who are ultimately competitors. They each wanted to stand out and compete despite our brief to create a strong identity. A further complexity came from the fact that whilst some content was locally managed, some was national. They all needed a common framework which was on brand but allowed dealers to focus on their local priorities whether that’s sales or service, or both. It was clear that Lean UX was the best way to run this project - working iteratively to constantly test and refine the designs. We rapidly wireframed, designed and prototyped created a high fidelity prototype and the platform, and then we tested, quickly and often, with current and prospective customers. The end result was a successful responsive web platform with a strong sales journey at its heart, delighting clients and customers and doubling sales. Delivering a successful project on time and on budget is a great feeling. Seeing positive results from the work you’ve done is another, but the best feeling of all comes from establishing a great relationship and being asked to work on more projects with that client. As well as the project on BMW’s UK dealer sites, we also undertook user testing and design on their consumer site for motorcycle sales - BMW Motorrad. This project also involved multiple iterations of user testing and prototyping to enable us to deliver fully usable and visually beautiful site back to the business. Having demonstrated our understanding of the high end automotive industry, we were then asked to user test and prototype the consumer online service booking feature which appears on deal sites. Alongside this project, we also embarked on a new project for Mini. BMW wanted us to take the same approach as we’d used on their own retailer sites but acknowledged that the outcomes could differ. And, to keep us busy, at the same time we also worked on the Rolls Royce global dealer sites. Just like that first project for BMW the briefs were clear: to overhaul their dealer websites to make them more user-friendly. One key concern was that the sites should work flawlessly on mobile, as more and more potential customers were accessing them on smartphones and tablets. This wasn’t a one size fits all project - the customer bases for BMW, Mini and Rolls Royce are all very different and so, success would all come down to working out what the customer wanted. Who were they? What features would they use? Why did they need them? When and where would they access them? The first step was to find out more about their sales processes and customer journeys which different by brand, so for each, we dived into discovery phase, talking in-depth to sales people, service teams and management at local dealerships. The test results allowed us to refine our assumptions and designs where necessary, leading to final products that we were confident customers would love and use – because we’d seen them do just that already. Since those three major research and design projects, we’ve also run user testing on the main BMW website and on the BMW UK dealer sites to identify areas for optimisation and improvement. We are proud to have been involved in the creation of sleek, user-friendly sites for such well established brands. Each of them, having been designed with users front and center, has delivered positive results across all metrics, from NPS to conversion. The BMW UK retailer sites for example, allow customers to see the different car models and features available in a clear, innovative way. Cars are shown as cards with key attributes displayed, and users can shuffle attributes depending on what they want from the car. Want to see what’s in reach of your wallet? Choose price range as a filter. Value performance over economy? View the fastest version of each model. Stakeholders and customers love this feature, because it allowed user to refine their choices before even booking a test drive, putting the customer in control and leading to an 189% year-on-year increase in visit to lead conversion, 110% increase of test drive leads and an impressive mobile completion rate of 35%. It turns out that the work we did influenced Adam, our MD, too. He’s now a proud BMW driver too!